In fifteen days’ time, The Dark Knight Rises will make its way to the big screen, bringing to a close one of the best film trilogies of all time. Anticipation couldn’t be higher, and you can bet that it’s going to be an immense two and three-quarter hours. 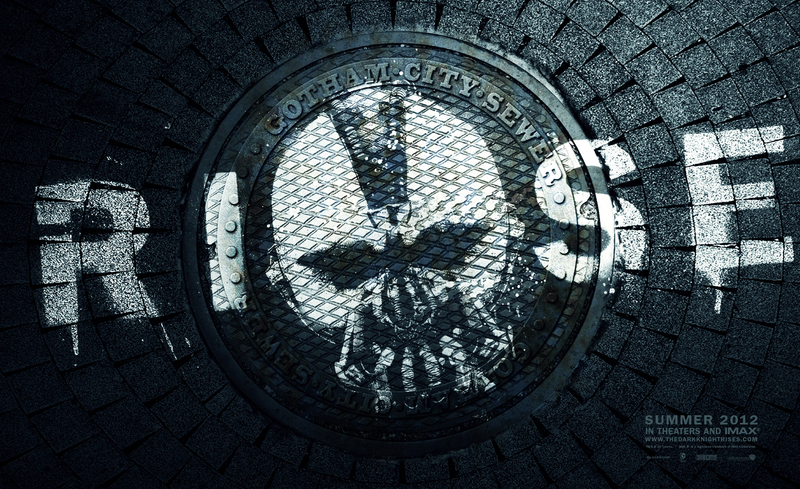 Adding to all the awesome things we’ve seen from the film so far, Warner Bros. have sent over an official new banner, with Bane calling on the streets of Gotham to rise. Maybe I’m reading into it too much, but the idea of it being on the sewer manhole seems to continue to suggest that the political ideas akin to the Occupy movements will make up a part of the film. Christopher Nolan is back behind the camera one last time to conclude his and brother Jonathan Nolan’s epic Batman trilogy, directing from their own screenplay based on a story by the director and David S. Goyer (Batman Begins, The Dark Knight). Christian Bale is of course returning with them for one last outing as the Dark Knight, alongside an immense cast-of-the-summer, headed up by Tom Hardy, Anne Hathaway, Joseph Gordon-Levitt, Michael Caine, Gary Oldman, Morgan Freeman, Juno Temple, and Marion Cotillard. The Dark Knight Rises will be released on 20th July in regular and IMAX theatres across the UK and US. Tickets are on sale now, and you can be sure there will be plenty of sold-out screenings, because with The Avengers now behind us, this is the biggest blockbuster still to come this year.